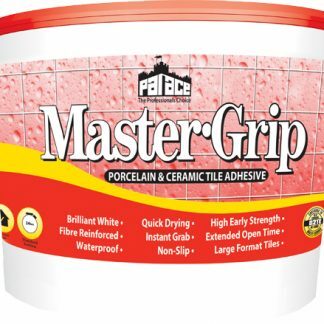 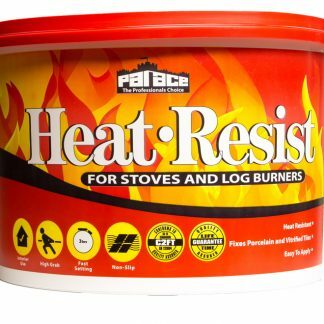 PALACE Fast-Fix is a brilliant white, polymer fortified fast setting mortar based on a blend of high purity cementitious binders which develop extremely high early strength almost as soon as the adhesive loses its workability. 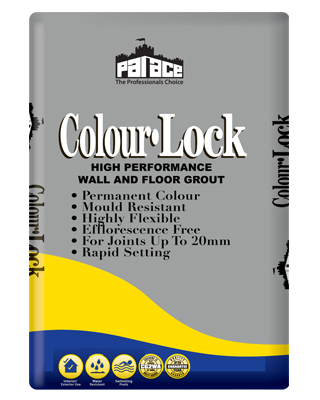 PALACE Fast-Fix mixes readily with water to produce a white, easy to apply paste with a working time of up to 30 minutes* which then sets and hardens at a rate which allows floor traffic within one hour* of application. 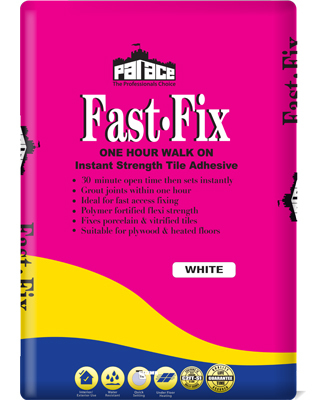 PALACE Fast-Fix has the ideal properties for fast track fixing especially where access is needed almost as soon as the tiles are laid. 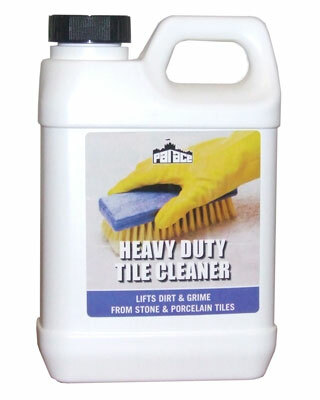 It can be used to fix tiles over plywood & heated floors and is suitable for natural stone, porcelain & vitrified tiles.